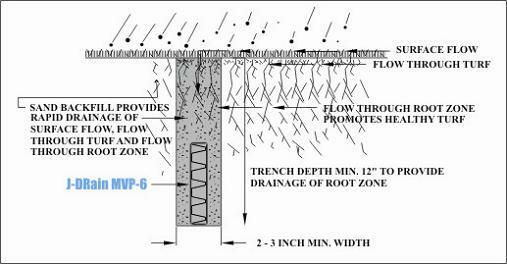 J•DRAIN MVP & SWD provides a simple solution to the many complex drainage problems that occur to Horse Farms. The narrow cross-section allows for J•DRAIN MVP & SWD to be installed without significantly disrupting the natural turf (see below). In many cases the arena can be returned to play the same day. 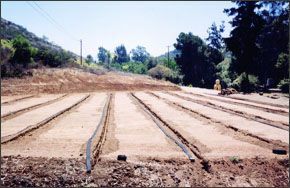 Trenches should be dup perpendicular to slope so that they intercept surface run-off as well as drain water from arena.